I had a lot of fun with my Grandma when I was young. I did small jobs for her, for $1 at a time, we spent all day together, for days. We also played word games! Our favorite was to choose 7-10 Scrabble tiles at random, lay them out, and write as many words as we could think of using those letters. Today is the anniversary of the birth date of Alfred Mosher Butts, the American architect and creator of Scrabble. Mr. Butts did not just create a board design and think of putting letters on it, but also did some detailed analysis to devise the points system and distribution of letters. Adorably, he did this by reading articles and tallying letters by hand. 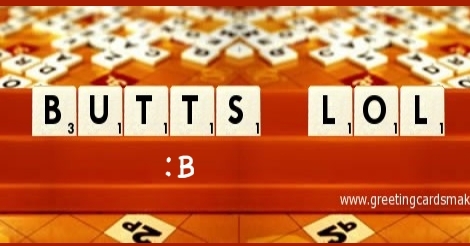 In honor of Butts and this contribution to the world and especially lovers of words, today is considered Scrabble Day. I’ve always been proud of my word skills. As you can see, I write real good. When I first learned to read, my parents taught me and would keep me practicing. Soon after, I wanted to read all the time. My parents would encourage me to write stories with lists of vocabulary words, a thing I must have done in school later as well. My dad helped me write to the local newspaper’s kid section every week. And, of course, I’d play Scrabble with my Grandma. And my parents and siblings and anyone who wanted to! I’ll admit, I’m really not the best at it. I just love to play! Sometimes I sacrifice more points to play cool words and I just don’t care. Games are fun, right? Winning isn’t everything, but learning is always great! 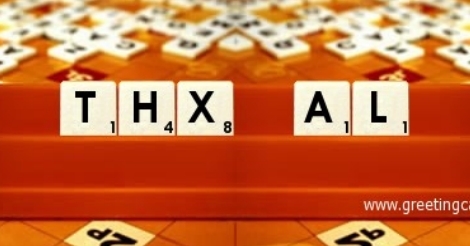 Through the years I’ve definitely learned more words through playing Scrabble, especially after around age 15 when we stopped “fishing” through the dictionaries sometimes. One great thing about word games and puzzles is the versatility. There are so many that are different iterations of creating words, with various strategies and points systems. And for some of the simpler games, players can employ various strategies, taking advantage of the simplicity of the rules to adapt play to their own style. Did I mention that no one has ever beaten me at Boggle? Above, when I said that winning isn’t everything, I meant Scrabble. Boggle was created much later and I’d attribute it at least partly to the perfection and popularity of Alfred Butts’ Scrabble. So thank you, Alfred!